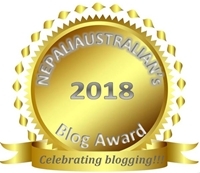 This entry was posted in Learn Nepal Bhasa / Newari and tagged australian nepali, Learn basic newari, learn nepal bhasa, learn newari, Nepal, Nepali, nepali australian, Nepaliaustralian, newar, newari. Bookmark the permalink. Hello I’m a Kathmandu-based journalist. Can I talk to you about an article on Newari language? Can i learn newari from audio clip. Of course if you have them. I also speak Newari coz most of my neighbors and friends are newars. I love Newari culture, food and people. I am really worried that I am not getting your regular post in my email. 😦 I tried my best to find out but I can’t . Any idea ? I have that problem sometimes. If you unfollow and follow again, it might solve the problem, please try.